The countdown continues and there is less than one week left to enjoy the best cycle tourism on Mallorca. 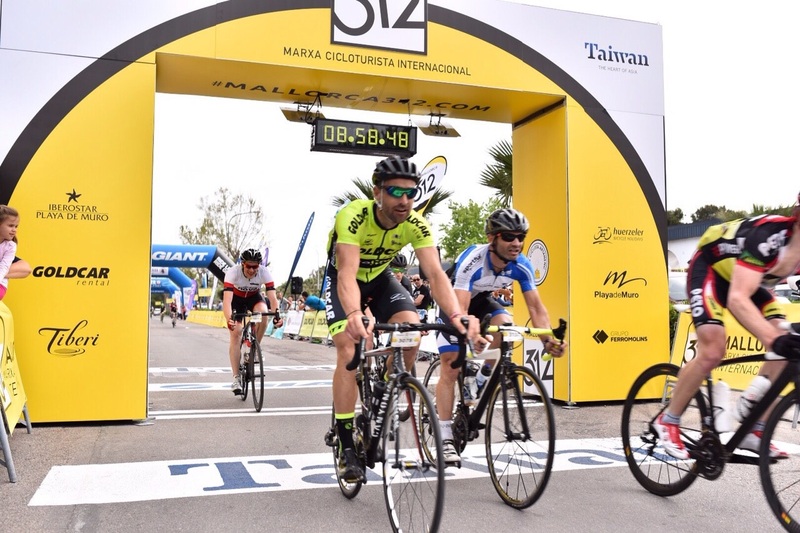 On the 30th April at 7 am the Mallorca 312-Giant-Taiwan will start. Are you excited? You should! In its seventh edition, not only the number of participants will increase, but also the activities around the event. It is expected that more than 10,000 people visit the new Mallorca 312 expo zone, located in the Playa de Muro square. There are already many confirmed exhibitors, and Goldcar is one of them. 390 volunteers, 9 ambulances, 28 medical staff on route… Everything is ready for you to experience the Mallorca 312, the most beautiful bike event in Europe. Did you know that the distance cycled by all 4,000 participants together will be over one million kilometers? That’s equivalent to 25.4 times around the Equator, 1.4 return trips to the moon, and 162 trips from Mallorca to New York! And what about the participants’ nationality? This edition will host people from 42 different countries in the world, but mostly from Spain, UK, and Germany. A melting pot of cultures united in their love for cycling. However, keep in mind that the Mallorca 312 is a demanding event for both the cyclist and the bicycle. Don’t forget to check your bike and to bring some tools, since there is no technical assistance at the start point on Saturday. We also recommend you to download the My112 app (for Android and iPhone). In case of emergency, the app will allow you to communicate with the 112 Emergency Centre and send them your exact location. Food and beverage? The Mallorca 312 has everything covered! Participants will find several feeding stations along the route, where they will be able to have a snack, some sandwiches and also drink water, soft drinks and sports drinks. However, we strongly recommend you to have a good breakfast before you leave your hotel in the morning. But that’s not all! Participants who feel like it can get a free massage by one of the professional physiotherapists of Fisiosan. Also, if you feel like taking a shower, the Iberostar Playa de Muro hotel allows all participants to use its locker rooms and showers from 1pm to 9:30pm. Does it sound good? Experience the Mallorca 312 and enjoy pure cycling from the sunrise till the sunset! The countdown continues and there is less than one week left to enjoy the best cycle tourism on Mallorca.